Panasonic has announced the second generation of its rugged laptop i.e. Panasonic Toughbook 53, enhanced with a faster microprocessor, greater storage capacity, greater autonomy and more content selling price. 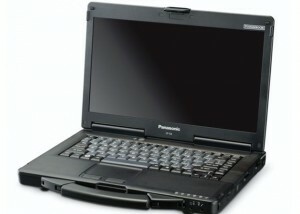 For fifteen years, Panasonic Toughbooks have been one of the top brands in rugged mobile business class. Last year, however, the Japanese company focused series in new directions that reflected the state of the PC industry, with semi-professional models and even closer to the consumer as low Android tablet. The new Panasonic Toughbook 53 is an intermediate model semi-rugged touchscreen LCD-LED 14-inch , a processor model improved over the original Intel Core i5-3320M vPro, with up to 8 Gbytes of RAM, 7200 rpm hard drives and up capacity 500 GB SSD or 128, 256 and 512 Gbytes. Panasonic Toughbook 53 comes with certificate for nine tests overcoming the military standard MIL-STD-810G, withstanding dust, shock or falling or water immersion, besides having a spill-resistant keyboard. Also improved aspects of the dual port connectivity with USB 3.0 and a battery that extends your battery life to 11 hours. 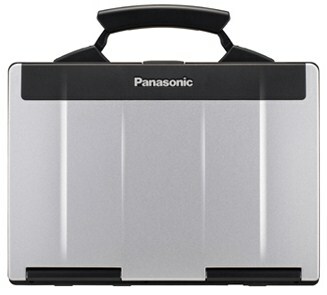 The base price of the Panasonic Toughbook 53 is $ 1,399 cheaper than the original model that cost $ 1,599.